I am 26 and recently graduated with a Masters in Existential, Humanistic, and Transpersonal Psychology from Saybrook University. I am passionate about discussing and applying peak experiences toward transpersonal sights on Being, wholeness, and higher human functioning. A peak experience happened in my own life and I’ve since explored myself to a degree that I would love to give my perspective. Beside my love for spirituality and psychology, music is dear to me in how it amazingly references and urges higher positive states of consciousness. I very much enjoy thinking, interacting with others, and bringing lightness to important discussions. My presentation will discuss the peak experience and its application regarding higher positive states of consciousness. Published work using this terminology can be over 50 years old and I wish to honor the conversation with a presentation based on my own written review of relevant literature. 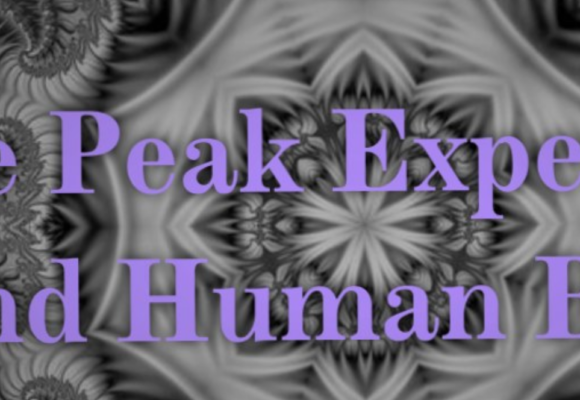 The peak experience is a crucial element in the transpersonal discussion of beyond-average health and a more heavenly world. I will introduce my topic in brief as being personally relevant. A natural peak experience of my own spurred exploration of transpersonal psychology and greater individuality. The presentation will draw on Abraham Maslow’s works and those of other journal article and book authors cited in my written review. I will describe how works of John C. Lilly and others relate higher positive states of consciousness to the Being discussed by transpersonal psychology and referenced in spiritual and artistic traditions. I will make the topic relevant to the audience as a priority and encourage discussion beyond the room by defining terminology, providing lived examples from literature, acknowledging a mass of artistic references to this category of experience, and describing areas that will develop in transpersonal professional work. The presentation will feature the visual aid of slides and I would like to have a short natural break when people can discuss with a neighbor or get up to privately integrate the presentation with their own life experiences. I’ll do my best to speak the truth and keep an engaging and positive space above all. I love this topic and have a unique perspective to share.